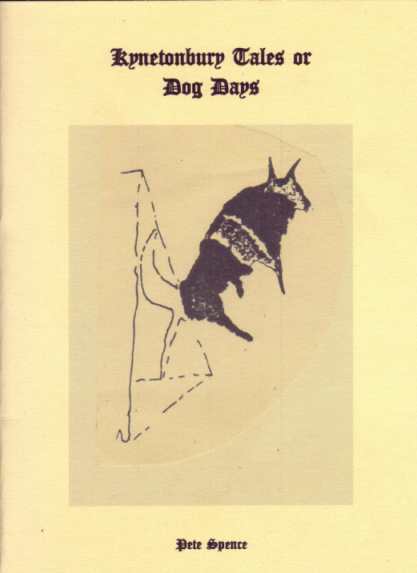 To celebrate Pete Spence’s birthday (30 September) Rochford Street Press is offering a discount (for today only) on his latest chapbook Kynetonbury Tales or Dog Days. The special birthday rate is $6 within Australia and $10 outside Australia. If you want to celebrate Pete’s birthday by buying this book please email us at the email address on the website https://rochfordstreetpress.wordpress.com/contact-rochford-street-press/ and RSP will arrange a special birthday invoice! This entry was posted in Authors, Kynetonbury Tales or Dog Days, Pete Spence and tagged dog days, Pete Spence. Bookmark the permalink.